HomeEventsMr. McKinney Bus Tour--MEMBERS! YOU MUST BE LOGGED IN TO REGISTER. Register NOW and Mark your calendars for Saturday, April 13th . 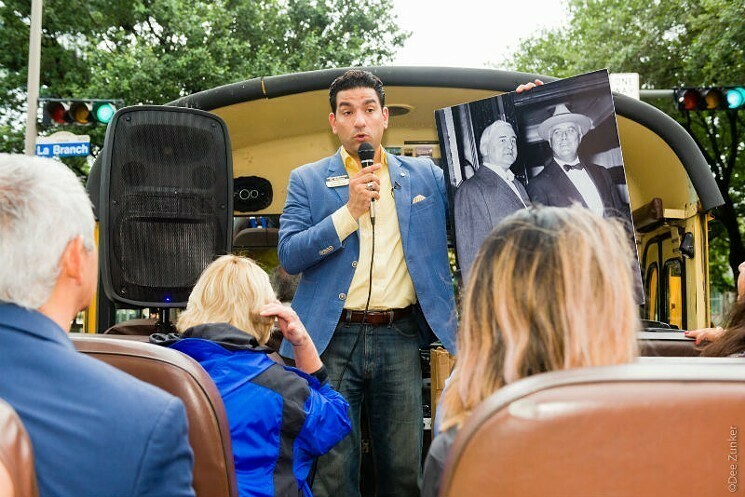 At 3:30 pm we’ll join Mister McKinney on a tour of historic Houston on board his mobile classroom, the famed open-air Houston History Bus. Prepare to be educated and entertained by the city's top Houston historian as he takes us through 182 years of how our city was shaped.